Winner + Free Exclusive Pattern from Rohn Strong! Today we welcome knit and crochet designer Rohn Strong to be our guest on the Knitter's Pride blog. 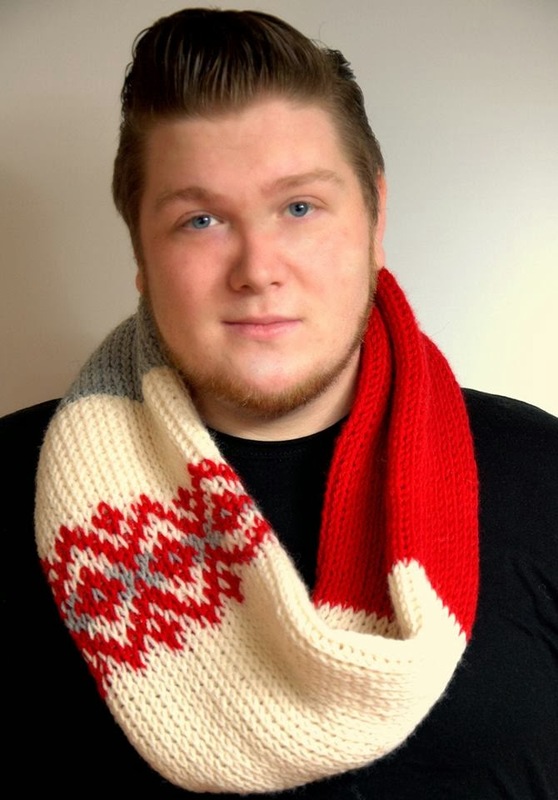 Rohn not only shares his thoughts on one of his favorite techniques - Tunisian Crochet - he also has designed a fun, free pattern that's great for beginners! 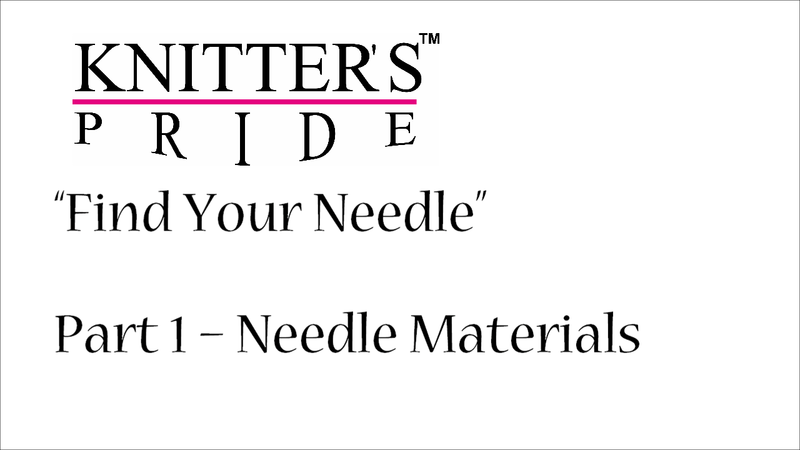 We hope you enjoy today's guest post and look forward to seeing your projects here in the Knitter's Pride Ravelry group! I adore Tunisian Crochet. So much so, in fact, that most of my recent designs are focused on this wonderful technique. What is Tunisian Crochet, you ask? Well, Tunisian Crochet (sometimes referred to as Afghan Crochet) is a crochet technique which uses a longer than normal hook that is sometimes cabled. Tunisian crochet is the best of both worlds: the look of knitting with the ease of crochet. I get asked all the time, "Why Tunisian Crochet? Why don’t you just knit? Why don’t you just stick to crochet?" I love knitting, but let’s face it…it takes a long time! I also love crochet, but sometimes it can be a bit rigid and bulky. Tunisian Crochet is a great way to solve these issues; with the right hook to yarn ratio (it is a bit different than what traditional crochet calls for) you can get a garment that looks and feels like knitting but without the huge time investment! Trust me, it is wonderful for last minute gifting. To get you started on your Tunisian Crochet journey, I have designed a pattern that is both simple and stunning. It takes just one skein of Cephalopod Yarns Beastie in the colorway Ogopogo, and you don’t even need a Tunisian Crochet hook - just a regular crochet hook without a pronounced thumb rest will do. This is also called an inline hook, and the Knitter's Pride Basix Birch, Bamboo, or Dreamz hooks will work quite nicely for you. Of course, a great option is to just purchase a Tunisian Crochet Set, which includes 8 hooks. These simple but stunning fingerless mitts are perfect for those last few weeks of winter. They take just a few hours to make up and are a perfect intro to Tunisian Crochet! 7.5”/18.75cm in circumference. 8.5”/21.25cm in length. Mitts are made in one piece from side to side. The foundation chain and last row are then joined to close. Be sure to use a yarn with a bit of animal fiber in it, as Tunisian Double Crochet has the tendency to lean to one side a bit. This can be counteracted simply by blocking. Because only a small number of loops are held on the hook at one time, a Tunisian Crochet Hook or standard crochet hook with an inline shaft can be used to work the mitts. Row 1 (forward pass): Yo, insert hook in 3rd and draw through 2 lps on hook (2 lps remain on hook), *yo, insert hook in next ch and pull up a lp, yo and draw through 2 lps on hook (1 more lp on hook); rep from * across – 24 lps on hook. Row 1 (return pass): Yo and draw through 1 lp on hook, *yo and draw through 2 lps on hook; rep from * across (1 lp remains on hook) – 24 Tunisian Double Crochet (Tdc). Row 2 (forward pass): Ch 1 (counts as first Tdc), sk first vertical bar, *yo, insert hook under next vertical bar and pull up a lp, yo and draw through 2 lps on hook; rep from * across – 24 lps on hook. Row 2 (return pass): Work as for Row 1 (return pass) – 24 Tdc. Repeat Row 2 (forward and return passes) 10 times further. Next Row: Sl st loosely in each vertical bar across. Fasten off. Block mitts by washing and lying flat to dry, pinning to measurements. When dry, seam the foundation row to last row of mitt using either mattress stitch or whipstitch, leaving a small opening for the thumb. Weave in ends. Enjoy! Congratulations to Jill D., who won this month's blog giveaway! 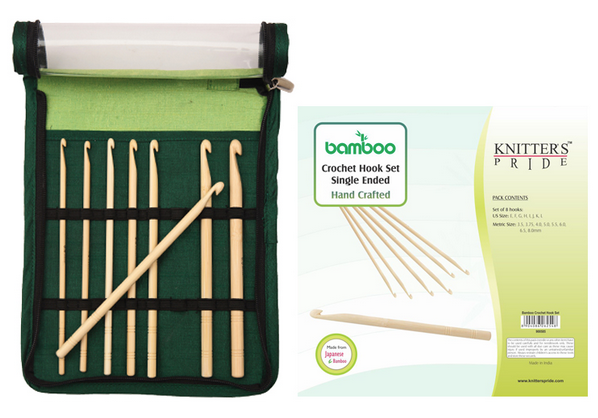 We've messaged Jill via Ravelry PM to arrange for the delivery of her prize, a Japanese Bamboo Crochet Hook Set. Thanks to everyone who entered this month's contest! Giveaway + Everything’s Coming Up Crochet! Last month, we focused on lace, sharing some of our favorite tips, tricks and tools for successful projects for lace enthusiasts; we even shared a photo tutorial starring our brand-new lace blocking wires! While lace designs can be created with both knitting and crocheting techniques, we'd like to put crochet in the spotlight this month by highlighting both traditional and Tunisian techniques which can be used to make a variety of projects. In today's post, we'll begin with a closer look at traditional crochet techniques; we hope you'll join us later this month when we delve into Tunisian crochet techniques (hint: we'll have a surprise from designer Rohn Strong!). Most of our fans are familiar with traditional crochet, i.e. techniques which are created using a single-ended hook. There are lots of great tutorials to help you get started, such as these free video lessons over on the FreshStitches website. You can also find more advanced techniques such as this bobble stitch tutorial starring one of our Dreamz crochet hooks! Stacey Trock, the designer behind FreshStitches, is best known for her adorable and cuddly crochet amigurumi designs. Amigurumi is a Japanese term for knitted or crocheted stuffed dolls which are traditionally smaller in size, although many crocheters have broadened the use of this term to describe any knitted or crocheted stuffed toy. Stacey's newest book, Modern Baby Crochet, features some great examples of amigurumi in addition to crocheted afghans, pillows, and other household decor which would look great in and out of the nursery! 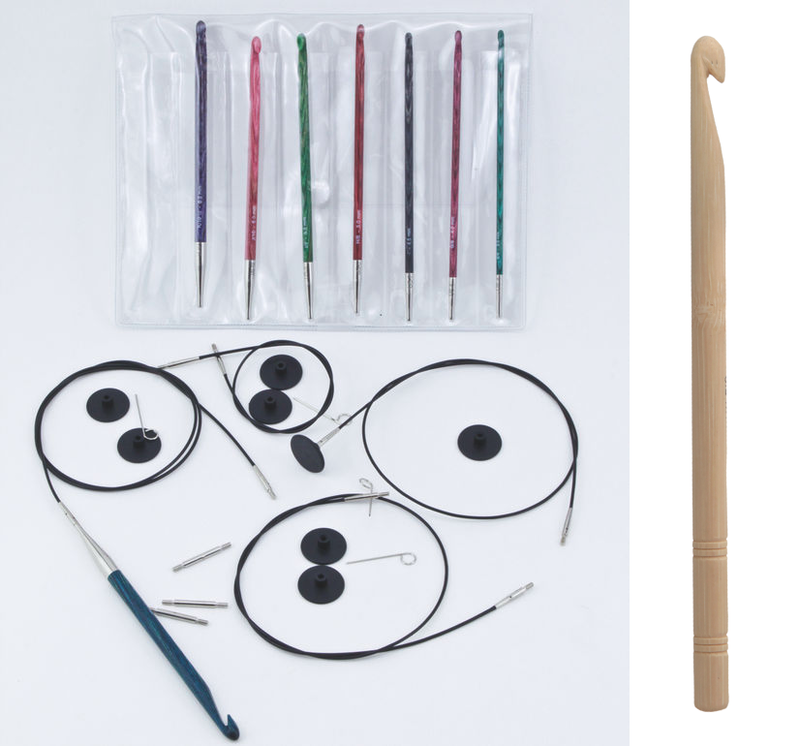 This month, we're giving away one Japanese Bamboo single-ended crochet hook set! To enter our giveaway, simply leave a comment telling us what's currently on your hook, or what you'd like to make if you won this set! Be sure to also include your Ravelry ID or email address so that we can contact you if you win. We will randomly select one lucky winner to announce on our next blog post on Friday, February 21. Good luck!